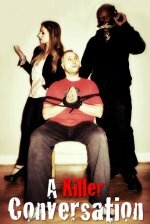 The FANtastic Horror Film Festival - now what's the philosophy behind it, and how did you come up with the idea? 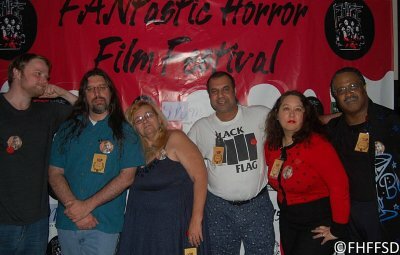 The FANtastic Horror Film Festival as its name suggests is a FAN oriented festival. We believe that all of our guests for the fest are fans, from the average movie goer to the filmmakers, actors, and others whose focus is Indie Horror. 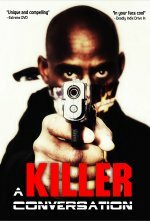 Our goal is to have all our films start on time so as not to infringe on the time of our fans. In order to do this we keep a very tight schedule and provide access to our filmmakers and fans to our Red Carpet for photo ops throughout the whole festival. Living in San Diego and driving to LA for events was a hurry-up and wait experience for us. Costly trips and long exhausting days became the rule, so, the fest was conceived to change that dynamic. So when and where will the FANtastic Horror Film Festival be held? The festival is held in sunny San Diego, CA, October 28th to 30th, 2016. Do talk about your festival locations for a bit, and what makes them perfect for an event like yours? And what can you tell us about the San Diego horror fanbase? This year our venue will be the UltraStar Cinemas @ Hazard Center. This movie theatre could be called the "hidden gem" of San Diego, located between 2 major shopping centers and near Hotel Circle. With plenty of free parking, a trolley stop out front and access to multitudes of shopping, food and drink establishments and plenty of hotels it is perfect for our out-of-town guests. Our local fan base is not quite at the level we are looking for, but we have been growing ever since our first fest in 2014. We are looking for a local growth spurt this year as we continue to grow our content with national and international film. It should be noted here that the FANtastic Horror Film Festival is still open for submissions - so could you at all give us the submission details and deadline, and what kind of qualities are you looking for in submitted films? We accept new films all year round, starting on August 1st through July 31st for the Halloween season the following October. Currently we are in our regular submission period for 2016, which ends on June 30th. Our late submission period is July 1st through July 31st. 2016 Official Selections will be announced by August 15th, with Award nominations being announced by September 1st, followed by Fan Voting. We are always looking for new and innovating independent horror films and subgenres. Our films are generally 3 years old or less, although we do occasionally make exceptions. 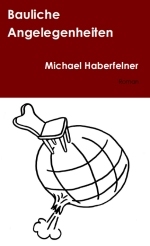 We have a Screenplay Competition as well. Writers will be vying for 3 awards and 3 honorable mentions. Filmmakers and screenwriter may submit their entries directly through our website http://www.fhffsd.org/, or FilmFreeway. Do talk about your panel of judges for a bit! What can we say about our judges, except they are awesome. Our judges hail from across the nation and around the world. This year we have Jason Brazeal, horror host Mr. 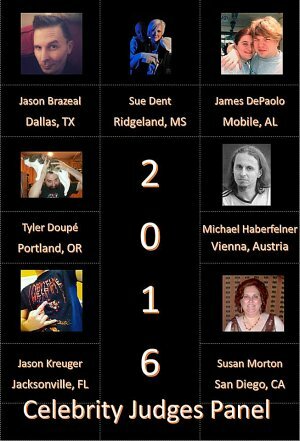 Dark who lives in Texas; Sue Dent, a writer from Mississippi; James DePaulo, who does reviews for the WickedChannel.Com, from Alabama; Tyler Doup�, managing editor at WickedHorror.Com, occasional contributor to Fangoria Mag and Rue Morgue Mag, who hails from Oregon; Jason Kreuger, a high school teacher from Florida; Susan Morton, AKA McCabria Darque, hostess at HorrorHouseParty.Com, from San Diego; and last but not least you, Mike, as a judge as well as a great advocate for the Festival with all your posts on (re)Search my Trash! All awesome individuals and big horror fans. You're also handing out awards at the FANtastic Horror Film Festival - so how will they be voted for? One of the responsibilities of our judges is to not only review our films but to also vote for the Award Nominees. Once the Award Nominees are announce we will have a 2 week period in which the fans will be able to vote for our Award Winners which will be announced at our Award Ceremony on Sunday, October 30th. You also have to talk about the Lon Chaney Award presented at your festival, and how are the recipients for that one chosen? And what can you tell us about your previous honorees? 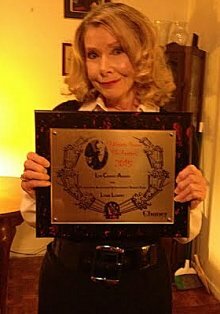 The Lon Chaney Award is very dear to our hearts here at the FANtastic Horror Film Festival. We decided early on in starting the fest that we wanted to honor an individual who made an outstanding contribution to the Indie Horror genre. That individual turned out to be Bill Oberst jr [Bill Oberst jr interview - click here], our first Lon Chaney Award recipient. When we first chose to honor Bill we did not have a name for the award. All we had was the idea for an award based on the honoree doing amazing work over a period of 5 to 10 years. We did not want the award to be a lifetime achievement award because of the fact that Bill's career was in no way over and it would give other prolific individuals in the genre something to strive for. With no name for the award, we watched a number of interviews with Bill and discovered that his idol from the time he was a young man was Lon Chaney. We contacted Chaney Entertainment for permission to use Lon Chaney's name and the Award was born. Our second recipient was Lynn Lowry, a prolific actress with a long list of accomplishments. Lynn had a number of films in our 2015 fest and walked away with multiple awards. Having Bill there to present the award to her was one of the highlights of the Award Ceremony. Any events you're planning outside your film showings and award ceremony? We are sure that there will be some events going on surrounding the fest with opportunities for people to get together. We are also considering hosting a Costume Contest in conjunction with our theatre. Do talk about the highlights of your previous festivals for a bit? And in what ways has the festival grown/changed over time? With only 2 fests under our belt we have only a few highlights at this point. Year one our Awards Ceremony was attended by Ron Chaney and his 2 daughters. We learned to never have a kick-off party near a swimming pool. Networking was the name of the game for our filmmakers. It was amazing how everything and everyone came together to make the fest an outstanding success. In the afterglow, our filmmakers, actors, actresses and producers, led by Bill Oberst jr [Bill Oberst jr interview - click here] and Dawna Lee Heising [Dawna Lee Heising interview - click here], requested that IMDb make us an official event. Which they did. Year two, everyone continued to come together to make things happen. We had a number of returning filmmakers and a lot of fun. This year we are looking forward to much of the same as we continue to increase the number of filmmakers who share in our vision as well as the fans who support us. 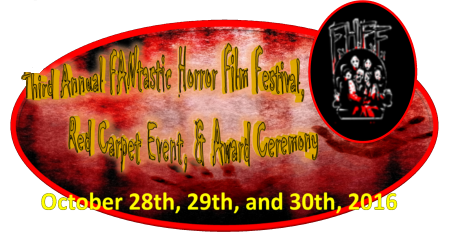 The FANtastic Horror Film Festival's website, Facebook, whatever else?